The tourbillon is the pinnacle of watchmaking – consisting of over 100 tiny parts and weighing a mere 9 grams, less than a coin. One of its most striking features is that it rotates a whole 360 degrees, while its tiny balance ticks back and forth. Originally made to counter the effects of gravity on a watch’s accuracy, the tourbillon has today become a symbol of horological expertise. The tourbillon can take even a skilled watchmaker hours to assemble, due to the number of tiny parts involved and the skill required to put all these together. We look at five tourbillons that have caught our eye. 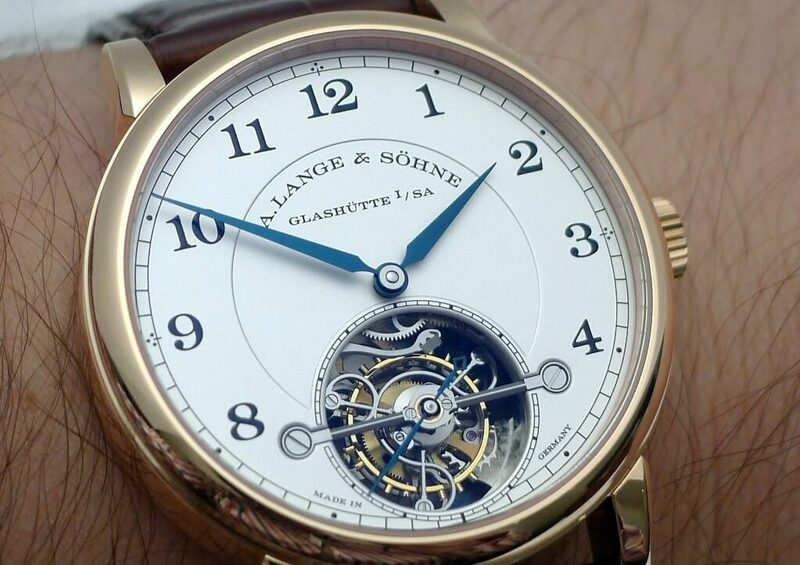 With its railroad track markings, sunken inner dial and blued-hands, the A. Lange & Sohne 1815 Tourbillon watch is the modern twist of the pocket watch. The 1815 is an iconic Lange model and this tourbillion marks the top of its range. Made in Germany, each tourbillon watch requires meticulous assembly. The UTTE’s movement has a slim case thickness of 8.34 mm (despite the tourbillon feature) and also an incredible thickness of a mere 2.97 mm. 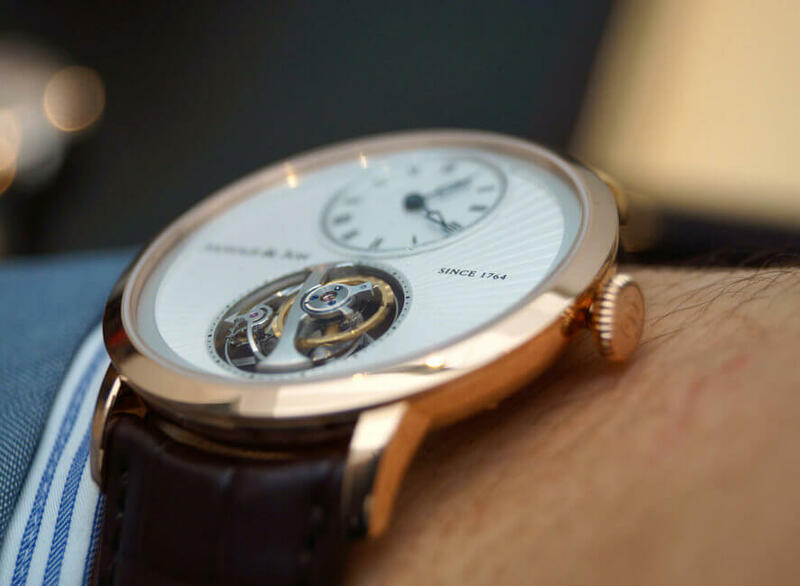 Arnold & Son has been known for its unique in-house movements and designs (e.g. its Time Pyramid watch) and the UTTE is no exception. The extra-large tourbillon cage of the UTTE takes the centerpiece of the dial, measuring a gorgeous 14 mm. This is without a doubt the largest tourbillon we have seen, taking up most of the watch face. With a case thickness of 8.34mm, the UTTE is perhaps the slimmest tourbillon watche in the market! To produce an in-house tourbillon movement is already considered to be a horological feat, but to skeletonize it puts it in a class of its own. 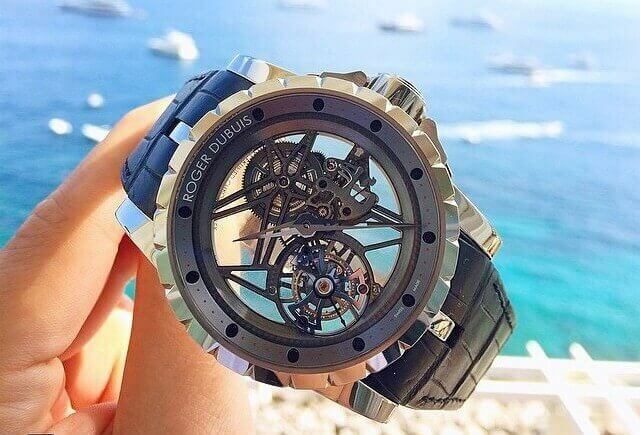 Roger Dubuis never fails to disappoint with their unique designs, and this skeleton tourbillon is no exception. One of the best examples of a skeletonized watch around (look at the transparency in the dial!) 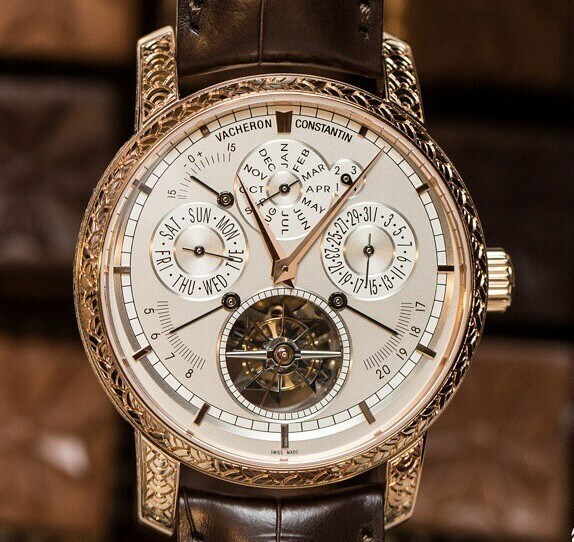 It also has a white gold case and 60 hours of power reserve on a single barrel. The cages of the tourbillons from Vacheron Constantin carry the characteristic shape of the Maltese cross. The 18k pink gold case is painstakingly hand-engraved by a master engraver who won the “Meilleur Ouvrier de France”, or “One of the Best Craftsmen of France”, in 2011. This is a “piece unique” (the only one made) watch of an already exclusive model. Pocket watches aren’t a common sight these days, so if you do see a modern era one, chances are it’s a fine work of art – like this James C. Pellaton tourbillon. 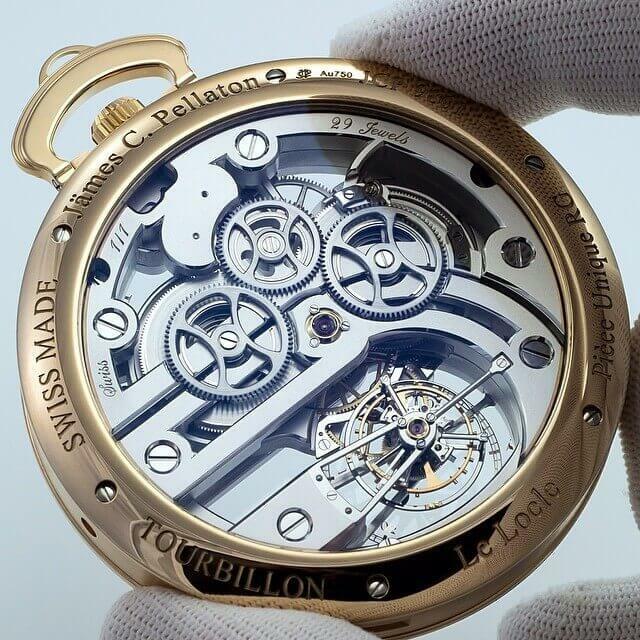 This particular tourbillon is a skeletonized red gold cased version that is made by hand. It is also a “piece unique”, one-of-a-kind from the collection of 12 pieces.